Great! You’ve written a book, got a contract, and now your book is available for sale. This is where the fun begins. If you’ve been doing your homework, you know you should already have a website in place and posting content to it on a regular basis in order to bring in traffic. You should also have an autoresponder in place to collect subscribers email addresses. 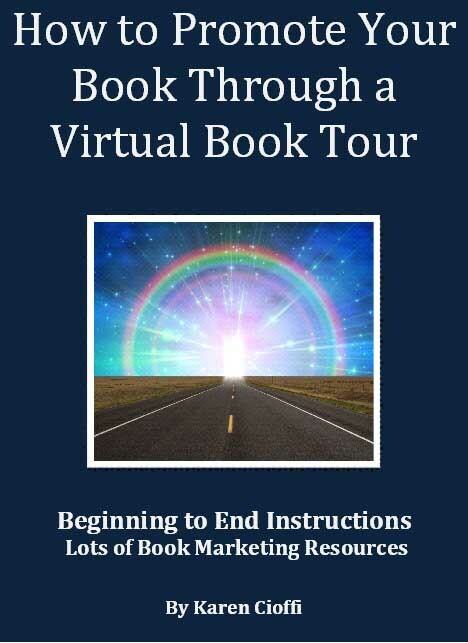 With all that done, and your book finally ready to be purchased, you should get started on a virtual book tour. Hopefully, you had this included in your marketing plan. This section explains where to start, how to find your hosts, what type of content should be used, and a bit about book touring services. Here you’ll find out what to do to help attract followers and comments on your tour, like offering prizes and thinking out of the box. And, how to learn from the book touring pros. This section goes into the nitty-gritty of the tour itself, like having promotional material ready and what that includes; keeping track of hosting sites, dates, comments, and so on; press releases and other promotional strategies; what to do during each tour stop, and what to do after. Here you'll find article and site links to help you on your book selling journey. 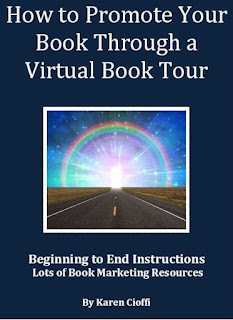 How to Promote Your Book Through a Virtual Book Tour is packed with helpful book touring and book promotion information and you can get it for the cost of a cup of coffee.